Image by Professor Adam Jones. Used with permission. Trauma site museums are dedicated to historic events of mass suffering, such as genocide or war, and are often built at the site of such events. How can these museums themselves act as living records of violence and trauma? What role do they play in practices of reconciliation, memorialization, and testimony for countries dealing with the aftermath of political violence? Patrizia Violi examines the politics of memory at work in visitors’ experiences of museums’ physical space and in their historical narratives. Moving from Chile to Cambodia and Italy, the author examines how different forms of memorializing past traumas affect how the future of a post-conflict society is imagined and articulated. At the Tuol Sleng Museum of the Crimes of Genocide in Cambodia, a former prison and detention center used by the Khmer Rouge from 1975 to 1979, visitors are transported into a past that has been “frozen in time.” Through the careful preservation of interrogation rooms, prison cells, and instruments of torture (47) visitors are transformed into witnesses of a history that most Cambodians have denounced and have chosen to radically distance themselves from. The sense of historical distance that is created by this “frozen past” plays an important role in the political framing of Cambodia’s future and the construction of a national identity that is distinct from the experience of genocide and violence. At Villa Grimaldi in Chile, designers deliberately left out any trace of the Pinochet Era in an effort to dramatically transform the experience of the trauma site. The conversion of the Villa from a former torture center into the Park for Peace takes place amid a widespread debate about the transition to democracy, negotiations of public history, and how victims of Pinochet are to be remembered. At Tuol Sleng, the author argues, the preservation of history is a strategy that places the violence of the Khmer Rouge in the past. The Park for Peace does not attempt to evoke life under military dictatorship in this way, but rather distances Chilean visitors from the violence of the Pinochet era because of fears that a direct link to Pinochet’s crimes will destabilize the emergence of a fragile democracy. Taking us finally to the Ustica Memorial Museum in Italy, Violi examines an experimental approach to reenacting the past that produces a different affective experience. Here a catastrophic plane crash and its memorialization in fictional wreckage and audio recordings is mediated by art and the fabrication of a “reality effect.” The symbolic transformation of trauma into aesthetic experience offers new possibilities for trauma site museums to craft narrative experiences around memory, history, and now, art. Patrizia Violi. 2012. 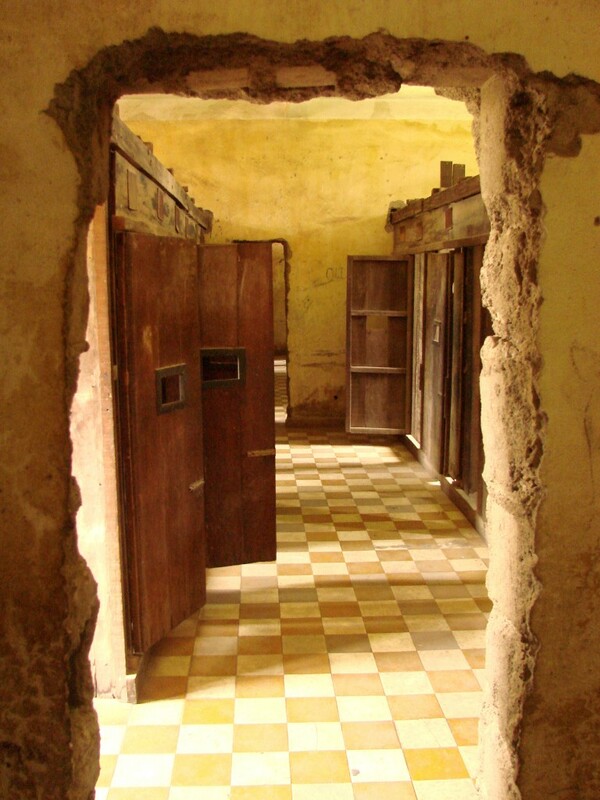 “Trauma Site Museums and Politics of Memory: Tuol Sleng, Villa Grimaldi and the Bologna Ustica Museum.” Theory, Culture and Society 29(1): 36–75.